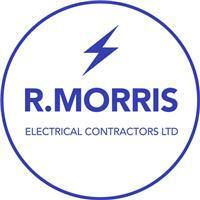 R Morris Electrical Contractors Ltd - Alarms/Security, Electrician based in Leatherhead, Surrey. R Morris Electrical Contractrors Ltd are Registered with the Niceic Approved Contractors Scheme. We are Based in Leatherhead Surrey but we cover a wide area from Surrey To West Sussex and South London. We carry out Domestic, Commercial and industrial Installations. We Take Great pride in our High quailty workmanship and attention to detail. No Job is too big or to Small. We Provide very competive quotes so for a free no obligation quote or just some expert adivce please contact us and we will be happy to help.